Does Your Executive Resume Position You as the Best Hiring Choice? 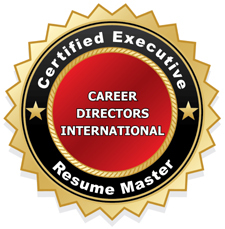 In executive job search, demonstrating your promise of value to employers is a critical component in your career marketing communications – executive resume, career biography, cover letter, LinkedIn profile, Google Plus profile, website, etc. Resumes that hit the mark make it abundantly and immediately clear how the candidate drives down costs, builds profitability, turns around failing business operations, and/or positively impacts bottom line. Consider the hiring decision makers you want to impress who are tasked with filling executive jobs. The cost of hiring is steep. 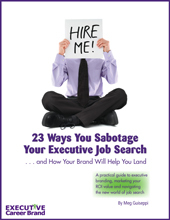 Hiring mistakes cost even more and make decision makers look bad. They strive to get it right the first time. 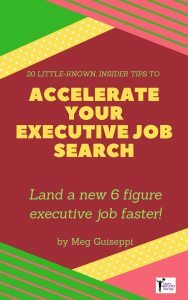 One of the biggest mistakes executive job seekers make is trying to cover too many bases in their search, thinking they need to appeal to all types of employers, and include in their resume every skill, every area of expertise, and every piece of career history. 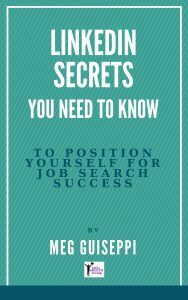 The key first-steps in successful job search are narrowing down, as much as possible, to a group of mutual good fit employers you’ll target, and doing company and industry research to identify their current challenges. Think about it. The purpose of a resume is to qualify you as a potential candidate – both in personal character and in skill sets – and to make people reading about you feel compelled to want to meet you and learn more. How can you write about what makes you a good fit for a company, if you haven’t chosen target companies, don’t know what challenges they’re facing right now, and can’t align your qualifications with their pressing needs? Knowing your target means you’ll know who you’re writing your resume (and LinkedIn profile, etc.) for, and what content will hit home with them . . . a much better approach than guessing at what needs to be in your resume and including every possible qualification, relevant or not. Personality and leadership style are important qualities to employers. They want an indication that you’ll fit in with their corporate culture and ramp up quickly in leading their teams. 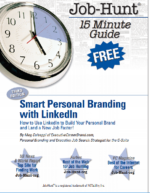 By connecting your “softer” skills – personal attributes, values, vision, drivers and passions – to the hard qualifications they need, personal branding helps recruiters and hiring decision makers reviewing your resume determine whether you’ll be a good personality fit for their company. Strike a chord, make a vivid connection, and set your self above your job-hunting competitors with brand messaging that differentiates your unique set of qualifications and value promise. Drive home your promise of value with tangible evidence of how you turned things around for past companies and solved their problems. Success stories, told in a Challenge – Action – Results framework, help hiring decision makers picture you in the jobs they’re trying to fill. Revitalized stalled business and increased new sales/new revenue growth $5 million in the first 2 years by persistently networking and pursuing forgotten market pockets: lost sales – smaller, untapped businesses – prospects overlooked by the competition. This kind of innovative action with monetized results reassures hiring decision makers that the investment in hiring this candidate will most likely pay off.